Getting the hang of things…. Why is it that whenever I go to write something here my heart speeds up and my palms get a teeny bit sweaty? I’m such a newbie! I think the thought of writing something and then putting it out there for anyone to see and read scares me a bit. The vastness of the internet constantly blows my mind – once something’s written, you can’t really ever delete it because you don’t know who’s read it or got hold of it…a similar argument that my mum poses to me whenever a questionable picture of me comes up on Facebook. She goes on about how a prospective employer could possibly see any of these pictures and freaks out about how it could be a handicap in the competitive job market. My counter argument is that my privacy settings are like the security around the crown jewels – I’ve been there, there’s cameras everywhere, it’s very dark (presumably to inhibit any attempts at escape and make you run into things) and there are very odd human conveyor belts…it’s a perplexing place to say the least. Ain’t nobody stealin’ those jewels! But now, I’ve almost got over my aversion to posting, it’s something I get a tad excited about now. It may seem like I got over this fear over the space of minutes, but I wrote the previous paragraph two days ago…what can I do, I’m a procrastinator? I’ve got over my aversion to posting because I’ve got another brave thing happening to me soon. I’m engaging in my first interview this week with an actual band! Music is a massive thing for me (as I mentioned in the previous post) and I’ve been tossing around the idea of going into music journalism as a career for a while. And as I’m being proactive at the moment and organising myself, I discovered that a relatively new band from France are playing in my town this coming week. 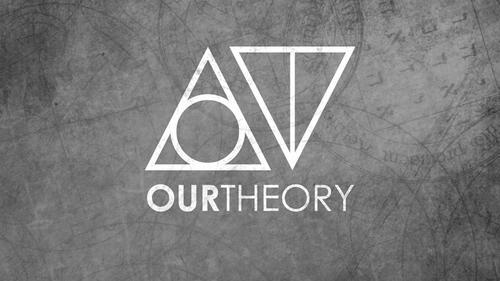 Our Theory…have you heard of them? YouTube them, they’re new but show signs of great promise. A little bit of me was hoping they’d say no – I’m a bit jittery about it to say the least! If anyone has any tips or questions they’d like me to ask them, or even suggestions for an app I can get from the App Store to record it on, leave a comment, it’d be greatly appreciated! For now, I’m going to leave it there, I’ve got a seminar to go to in a bit, French oral skills, ugh! Author LizzieBethPosted on February 11, 2014 Categories UncategorizedTags crown jewels, interviews, jitters, journalism, newbies, Our TheoryLeave a comment on Getting the hang of things….